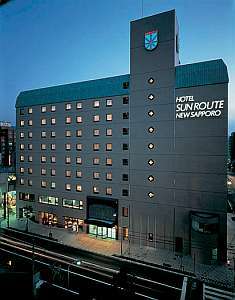 The Hotel Clubby Sapporo is located at the site of the Old Sapporo Beer Factory which is now a complex with 110 shop. All rooms are spacious with at least 40 square meters for a relaxing stay and the lavatory is separated from the bathroom. Hotel Monterey Sapporo is a modern stylish hotel with an English inspiration. The whole building is unified by a modern British tone from the indoor garden atrium to the furniture imported directly from England. 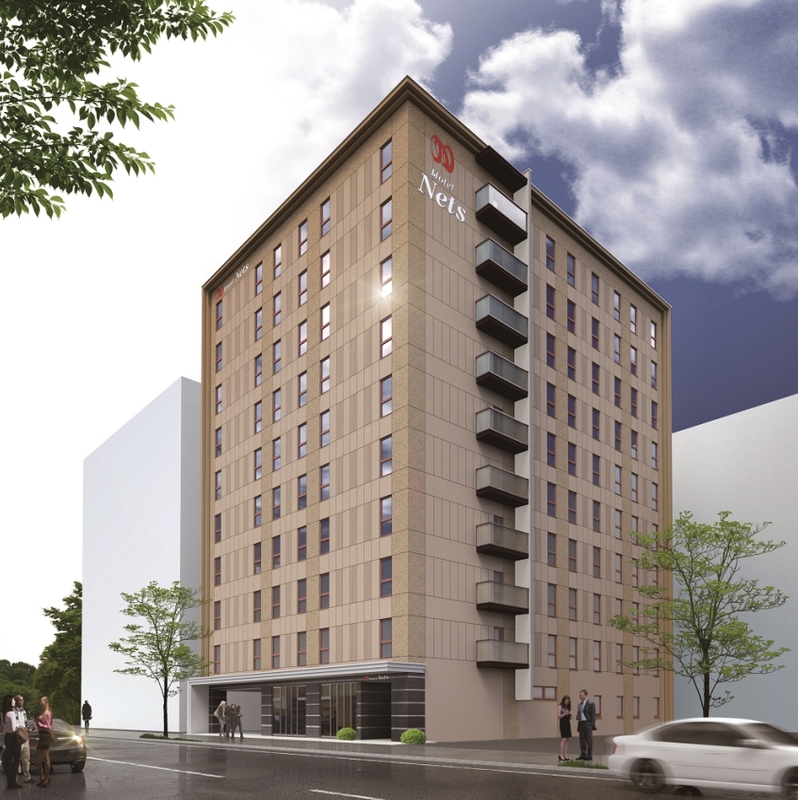 Located 2 minutes walk from the north exit of JR Sapporo Station and offers convenient transportation in Hokkaido. We are also surrounded by a rich natural environment and to Hokkaido University's poplar tree lined street. Connected to JR Sapporo station/underground shopping area. 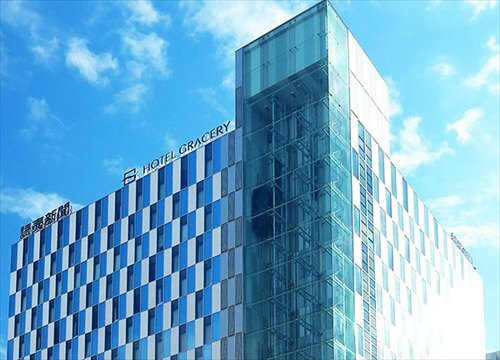 This is one of the most ideal large scale city hotels for business and for sightseeing in Sapporo. 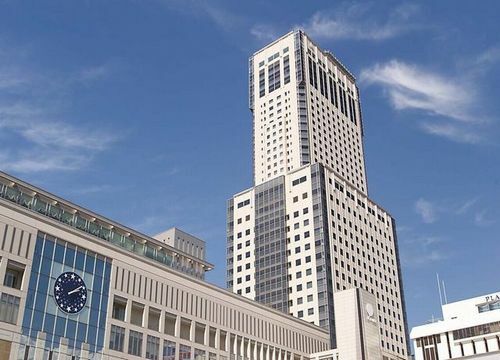 Mitsui Garden Hotel Sapporo opened on June 2010. It is located at the west side of the JR Sapporo Station and close to the red brick Hokkaido Government Office. It is a perfect base for sightseeing and business. 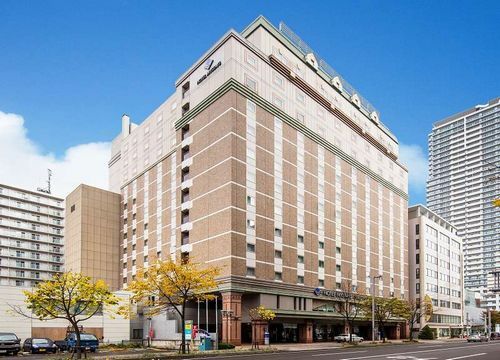 Keio Plaza Hotel Sapporo is a 23-story community hotel in an ideal location close to the JR Sapporo station, Subway Sapporo station and the bus terminal. 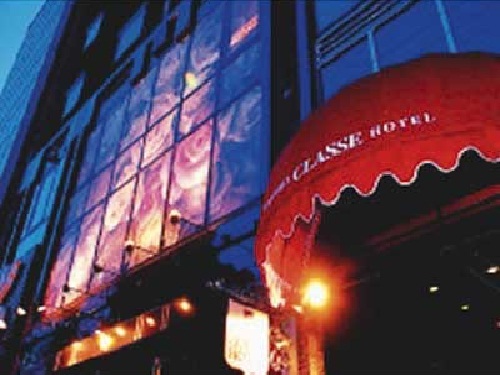 The hotel is well equipped with business facilities and has 11 restaurants and bars. Located on Odori street in the center of Sapporo, it is a 7 minute walk to the Sapporo station district. The interior decoration is based on 19th century Vienna. The hotel occupies the 12th and 22nd floor with guest rooms on the 16th to 22nd floor. JR Tower Hotel Nikko Sapporo is located on the 1st floor and from the 22nd floor to the 34th floor of the JR tower standing 173m tall. It features a panoramic view form the tower. 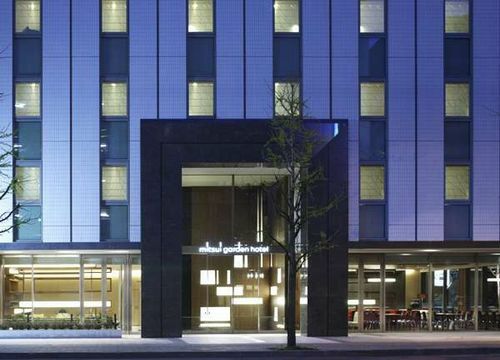 Sapporo Classe Hotel is a bright and modern designer's hotel situated in Sapporo city center and a good base for business and sightseeing. It is within walking distance to downtown Susukino. ANA Holiday Inn Sapporo Susukino provides a quiet space though it is in a great location at just two minutes walk away from Subway Susukino Station. The amenities and services are befitting of an international brand. 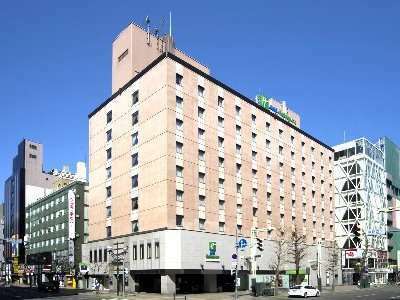 Hotel Resol Trinity Sapporo is located a 1 minute walk away from Subway Odori Station exit 2 and is perfect as a base for tourism and business. Rooms are serene using the latest equipment and natural wood. 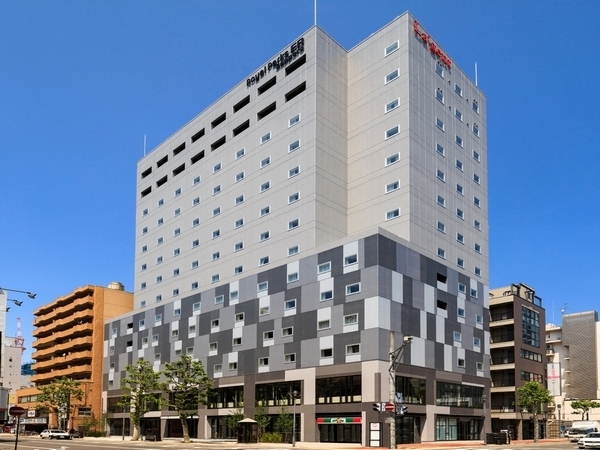 The Sapporo Tokyu Rei Hotel is conveniently located in the center of Sapporo city, just 1 minute walk from Subway Susukino Station. Both business and leisure travelers can stay in the hotel at a reasonable price. 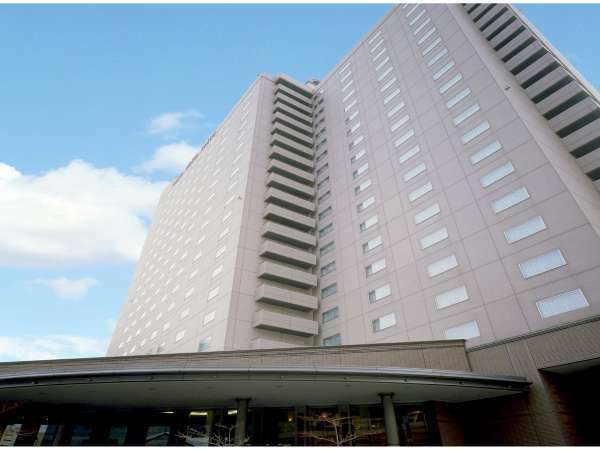 The Sapporo Excel Hotel Tokyu is in the heart of Hokkaido - Sapporo, where you can enjoy all four seasons. This high-rise hotel is very convenient for business and leisure travelers. Hotel Okura pursues the best possible service with guest hospitality always in the mind of the staff. Guest rooms are tasteful using wood effects creating a warm environment. 5 min. walk from Sapporo Municipal Subway “Susukino Station.” The hotel is located in the bustling town, which has convenient access to shopping and dining. All non-smoking rooms. Smoking is possible at the designated corners on the 1st and 3rd floors. Hotel Sapporo Garden Palace is located south of the Hokkaido Prefectural Government Agency and only 7 minutes walk from JR Sapporo Station. It7s convenient location meets the various needs of both business and sightseeing guests. The hotel held its grand opening in March, 2018. It is a 1 minute walk from Exit 1, Hosui Susukino Station on the Subway Toho line. Less than 10-minute walk from the subway stations on 3 lines. The best location for business, leisure and shopping. 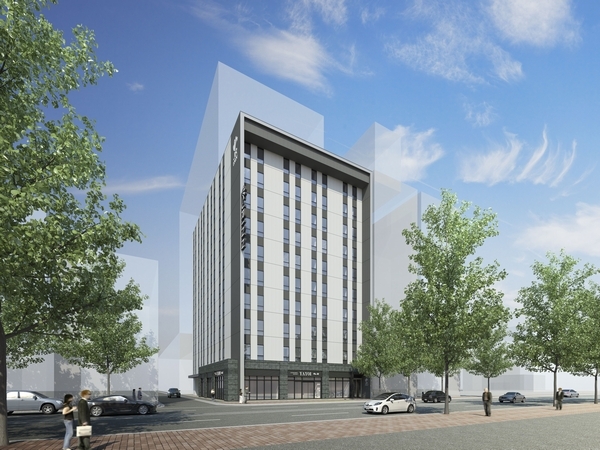 Hotel Mystays Premier Sapporo Park is the first certified hotel in Japan by The Accessible Building Law which is known as the "Heart Building Law" promoting architecture for buildings accessible and usable by the elderly and physically disabled. Located in an excellent location next to Tanuki-koji shopping street, and 3 minutes walk to Odori-Park and Susukino. The guest rooms were renovated in 2007, decorated with simple colors to create a peaceful atmosphere. 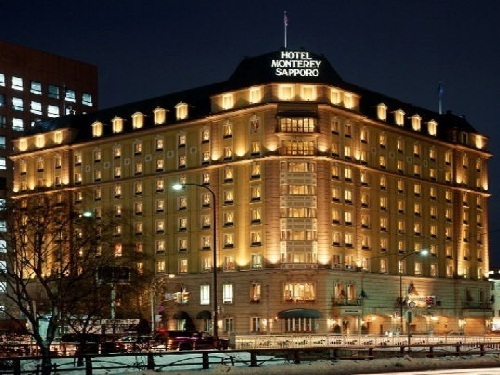 Sapporo View Hotel Odori Park is located close to Odori Park and ideal for sightseeing and business. Guests can see the Odori Park and Okurayama Jump Hill from the rooms. This is an urban resort hotel where guests can enjoy seasonal views of Sapporo. Very convenient location from Sapporo Station on JR and Subway Toho Line. Unique hotel services such as offering cushions, books and complimentary coffee at the guest lounge, and large public bath for men and women are popular among guests. La'gent Stay Sapporo-Odori is a 5-minute walk from Odori subway station. 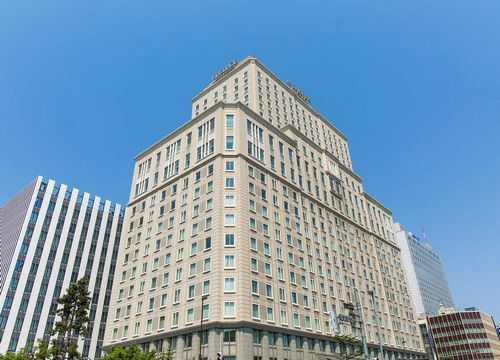 The hotel is a 3-minute walk to Odori Park and Susukino town and is a great base for business and sightseeing. 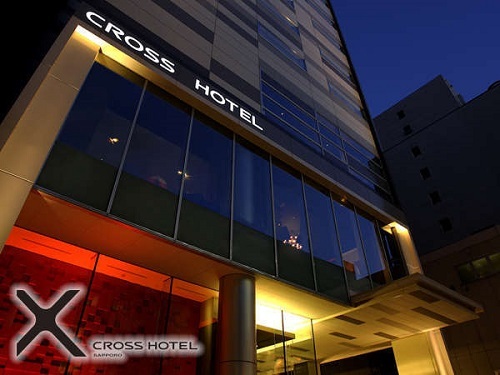 Cross Hotel Sapporo features a stylish and modern concept with sophisticated guestrooms and chic space. Guests can enjoy the open-air bath in the hotel's spa facilities on the top floor.